Weekly volunteer applications are out! 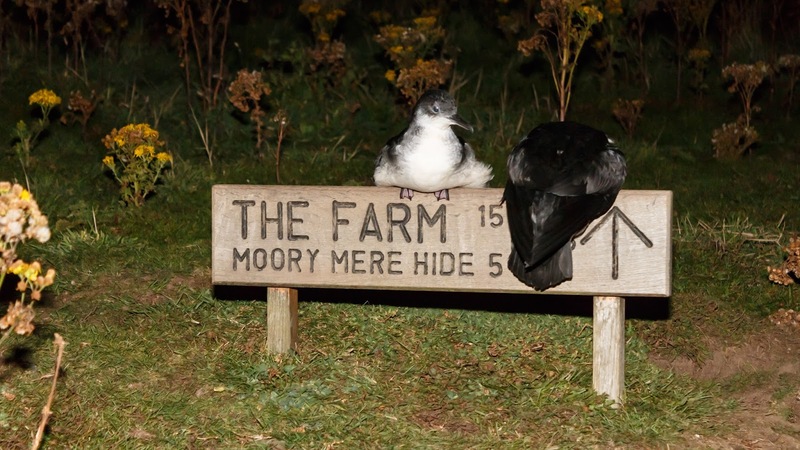 If you've ever visited Skomer Island you are likely to have met some of our wonderful volunteers. Volunteers stay on the Island from Saturday morning to the following Saturday midday and truly are essential to allowing the island to run smoothly. For volunteers it is a wonderful way to see and get to know the island, and meet our neighbours who only come out at night! If you are interested in volunteering on Skomer in 2018, please fill out an application form by the 1st of October. Application forms have been updated this year so if you are a returning volunteer I would really appreciate it if you could download and use the new application form (feel free to copy text from previous applications- many of the questions haven't changed!). Applications can be found on the wildlife trust website or click HERE. 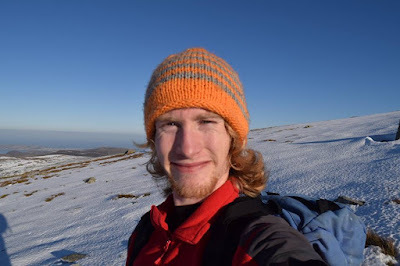 My name is Jake Taylor-Bruce and I am the other half of the Long Term Volunteer duo (see last weeks blog for an introduction to Joe). 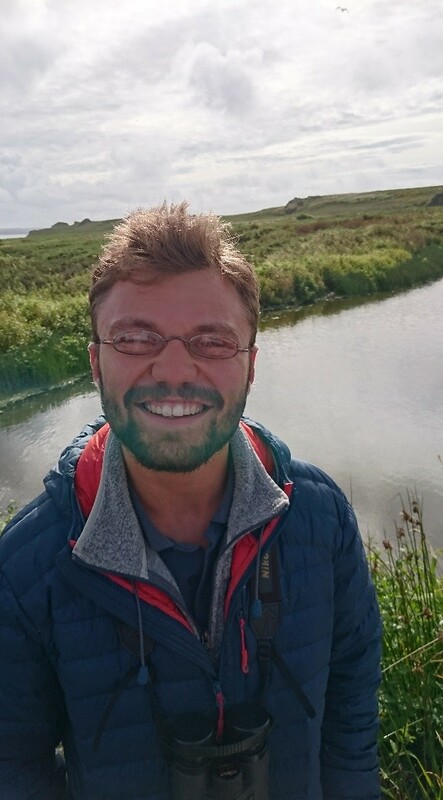 I have just finished a four year degree Applied Marine Biology from Bangor University and am currently on Skomer until the very end of September. As you may have guessed from my degree title, I am hugely passionate about the ocean and the great variety of life that can be found within it. Luckily for me Skomer Island is in a brilliant location for marine life, situated off the west coast of Wales and (of course) surrounded by the Irish Sea. Not to mention the tall cliffs, which offer panoramic views out to sea, where on many days harbour porpoise and common dolphin can be seen in quite high numbers feeding or simply swimming by. If you’re really lucky there is also the possibility of seeing much rarer species like minke whale, bottlenose dolphin and even ocean sunfish! All three of which have been seen in the last few weeks. This isn’t to mention of course the fantastic views of sea birds both on and off the island. Truly Skomer is a marine biologists paradise! As part of my time here on Skomer I am running a research project that is taking place in North Haven (one of the sheltered bays on the island). Of particular interest here is the sea grass bed, a disappearing habitat that can be home to many rare species, such as seahorses. My project involves placing an underwater camera alternately in the seagrass bed and in the kelp forests at the base of the cliffs. This camera is then left to run for around 45 minutes and when I return to pick it up I review the footage and identify the fish species that swim past when there is little human disturbance. The results so far have been great, with large sea bass and various wrasse species being abundant. In addition to this, both adult and juvenile pollack are regulars, along with large shoals of minute two spot blennys. While the camera is left running I follow along the cliff edge recording species that I have seen and I must say, the underwater world here is just beautiful! With shining jewel anemones, armies of long legged spiny spider crabs, large ballan wrasse drifting lazily through forests of kelp and multi coloured sea slugs like animated sweets hidden amongst the kelp fronds. 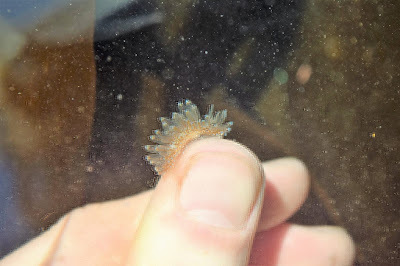 To say nothing of the bizarre fan worms, sponges and star ascidians that litter the rock walls. Perhaps my favourite encounter so far involved following a beautiful orange snake pipe fish through the kelp forest, before spotting it spiraling about in an underwater glade. In my spare time here I am also working to improve my photography, a real passion of mine and something which Skomer provides the perfect opportunity to improve on. The combination of awesome seabirds, cetaceans and the frankly ludicrously beautiful sunsets and sun rises, as well as the ever-shifting light, create an environment that is perfect for photography improvement. 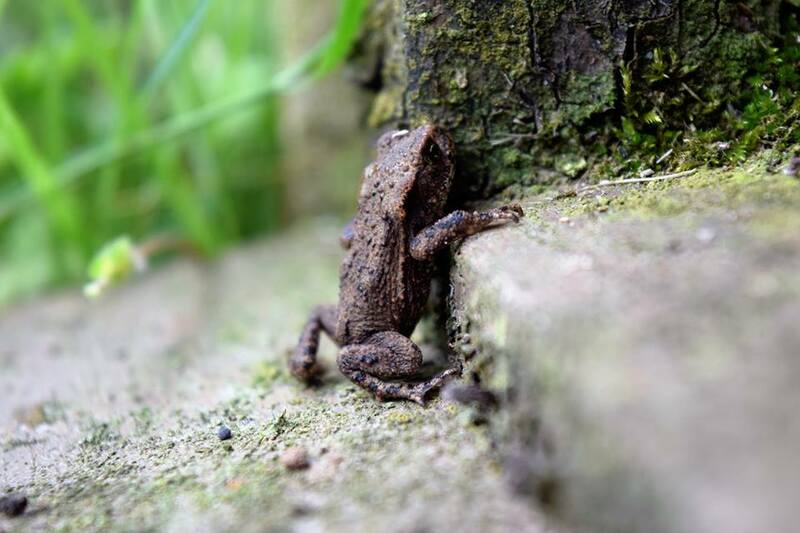 Common toad, trying to get into my house! Hello hello! My name is Joe and I am one of the two Long Term Volunteers working on the island. I am currently an undergraduate at Aberystwyth University studying zoology about to enter my final year in September. I have spent a few weeks on Skomer in previous years prior to this placement as a short-term volunteer where I got a flavour of island life and from the moment I arrived in mid-July my time here has been nothing short of amazing. Me struggling to see out of the Warden’s ringing glasses. Since arriving I think it’s fair to say my clumsiness hasn’t gone unnoticed so if you’re thinking of visiting the island over the next few weeks and you see someone stumbling out of hides or tripping over boardwalks say hello, it’s probably me! Recently we have been setting several camera traps about the island in response to the exciting otter sightings. Below I have complied a few highlights of the footage which currently spans over 20 species! My favourite footage captured on the camera trap so far is without doubt the elusive water rail sightings. When viewing the footage for the first I got so excited I leapt vertically several feet out of my chair, bruised my ribs and jumped up and down madly for a while. Can you spot the huge cyst on the otter’s hindleg? A Puffling from earlier in the season just sneaking into the frame. Each Long Term Volunteer takes on a personal project whilst on the island and I have decided to investigate the calls of the numerous Manx shearwater. I aim to analyse the begging behaviour the shearwater chicks which are currently tucked away in a burrow waiting for their parents to return with food under the cover of darkness. I hope to integrate this research with my university honours project so keep an eye on the blog early next year for a link to my dissertation findings! So far my time on Skomer has been incredible - the wildlife sightings are something else and with the arrival of autumn migration and seal numbers beginning to increase once again it will only get better! Over the coming month or so I will be helping the Wildlife Trust monitor seals and their super cute pups which are popping up all over the place as well as experimenting with moth traps and camera traps around the island. There’s never been a more exciting time to visit and I look forward to welcoming you all to the island over the next few weeks. Skomer Island isn't only a fantastic place for visitors to watch seabirds but also a hotspot for seabird research and lots of ground-braking scientific work has been conducted on the island over the years. New technologies enable the researchers to take closer and closer looks at the life histories of Manx Shearwaters, Guillemots, Puffins and Co.
Read Emily Burford’s blog post about her research on Pufflings and have had a look at Sarah’s post on Auk chicks. We also captured a Puffling on one of our trail cameras. We were trying to get footage of the Otter which has been seen at Green Pond several times in the last few weeks and on top of Otter footage we managed to film 11 other species: Puffin, Jackdaw, Pheasant, Manx Shearwater, Moorhen, Water Rail, Lesser Black-backed Gull, Wren, Dunnock, Meadow Pipit and Woodmouse.